Pretty Lite Liars season 6A ended with the liars all grown up and having settled in their lives 5 years later, while Allison decided to stay in rosewood and became "Mrs. Rollins". Fans don't know how Marlene King got the "5 year forward" idea, but they are hoping this to be a mucilage for the disappointment they had with A's reveal. A revealed out to be none other than Cece Drake (Vanessa Ray) , but wait a minute...wasn't A Charlie? And wasn't Charlie Allison's (Sasha Pierce) "brother"? Apparently Cece was Charles and Mr. Dilaurantes couldn't stand having a Transgender boy/girl in the family so he decided to dumb his kid in Radley. Later Mrs. Dilaurantes lied about Charlie's death and helped him Trans himself into a girl, "Charlotte". Indeed, there are a lot of questions still left unanswered i.e. who killed Emily's later girlfriend Maya? How did Sarah (Dre Davis) ended up being partners with Cece? MTV, show runner King has already confirmed that they are done with Charles story. Now there will be a new villain. There are still many secrets, stories and lies to be uncovered and fans are hoping "Pretty Little Liars" season 6B will be the last season revealing all the answers. There was a "Pretty Little Liars" season 6B preview that showed Hanna (Ashley Benson) having an engagement ring on; probably from Caleb (Tyler Blackburn), Emily (Shay Mitchell) telling Toby (Keegan Allen) how college wasn't as good as she expected it to be, Aria (Lucy Hale) is suspected to be a writer as she's in office with a book on her desk and poor Spencer(Troian Bellisario) still has nightmares about the doll house. Fans really do hope she's gotten over her drug addictions. Viewers are also shown a glimpse of Sarah Harvey by a grave site. 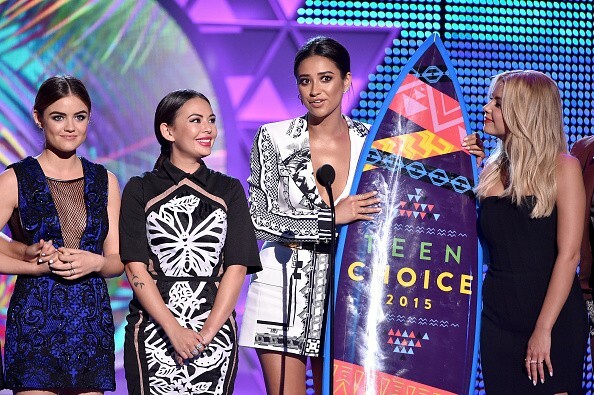 In short, fans are expecting a lot from "Pretty Little Liars" season 6B. Let's hope King doesn't shatter our expectations like the last time.